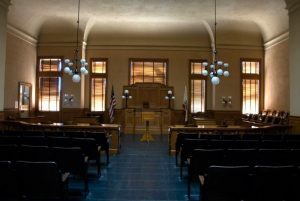 This is the next post in my series on the handling of probation revocation cases in Peoria, Illinois. My last article dealt with situations which can result in a revocation hearing. It is important for defendants to understand that they do not have to be arrested on a new charge in order to face revocation; one’s supervisor can suggest revocation if the defendant misses a check in or fails to pay their fees. Retaining an experienced criminal defense attorney is critical in such matters. In this post I will discuss the possibility of gaining reinstatement into a supervision program. Contact my office today to speak with a lawyer. The first way in which a defendant can gain reinstatement of their probation is through an agreement with the prosecutor and the supervising officer. Such agreements typically include the defendant agreeing to extra supervisory terms in addition to being reinstated. Such additional terms may include increased drug testing, more regular check ins with the supervisor, requirements to attend counseling, etc. If the prosecutor and supervisor agree to such an arrangement then it can be presented to the Judge. If the agreement is approved by the Court then the defendant will be put back on probation with the new conditions in place. It is very important to understand that such arrangements are seen as a “second chance” and the Court will have little patience for those who do not take advantage of such an opportunity. If you are reinstated then it is unlikely that a Judge will grant you a third chance. A second way in which a defendant may have their probation reinstated is by defending themselves against the revocation proceedings. It is important to understand that, at the end of the day, the final decision as to whether or not your probation will be terminated, is up to the Judge. It may be possible to make an argument that it is not in the public’s best interest for your supervision to be revoked. When attempting to make such arguments it is important to show that the accused has been a productive member of society, that they have held a job, and that they have generally stayed out of trouble since being placed on probation. While successfully defending against a proposed revocation is possible, it is rare. Retaining a lawyer experienced in handling such matters is important. I am a former prosecutor who is experienced in dealing with our local court systems. I strongly believe that everyone is entitled to the most vigorous defense and I am ready to assist you. In addition to Peoria, I service the cities of Bloomington, Eureka, Galesburg, Morton, Normal, Pekin, Springfield, and Washington. I also serve the counties of Fulton, Knox, LaSalle, Marshall, Mason, McLean, Putnam, Rock Island, Schuyler, Stark, Tazewell, and Woodford. I also handle federal cases in Urbana.